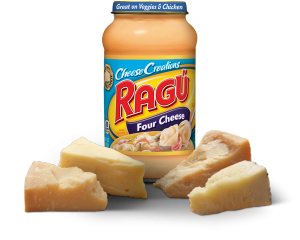 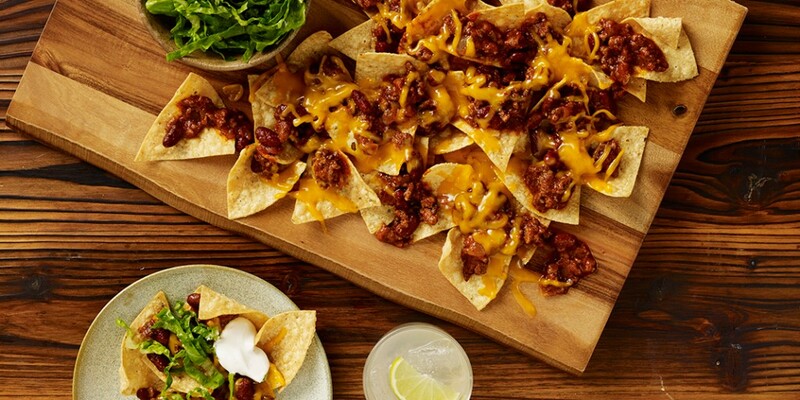 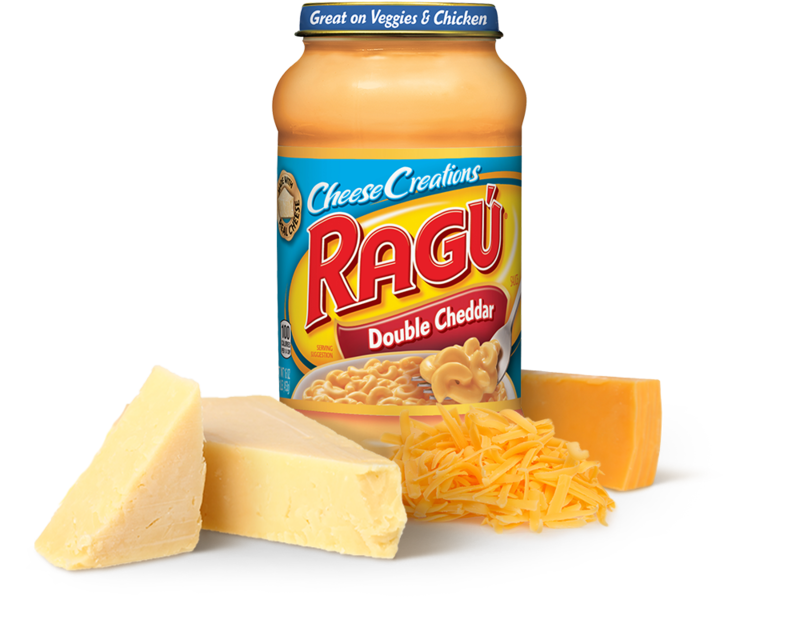 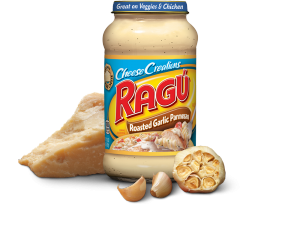 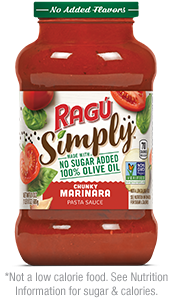 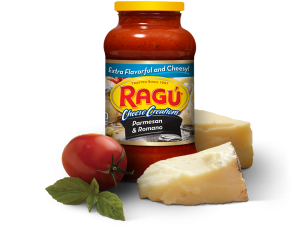 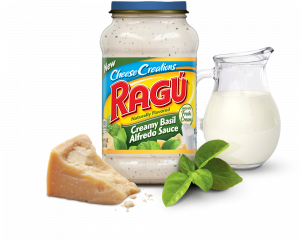 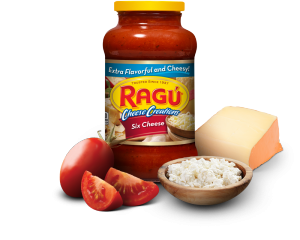 Cheese abounds in our RAGÚ® Double Cheddar cheese sauce. 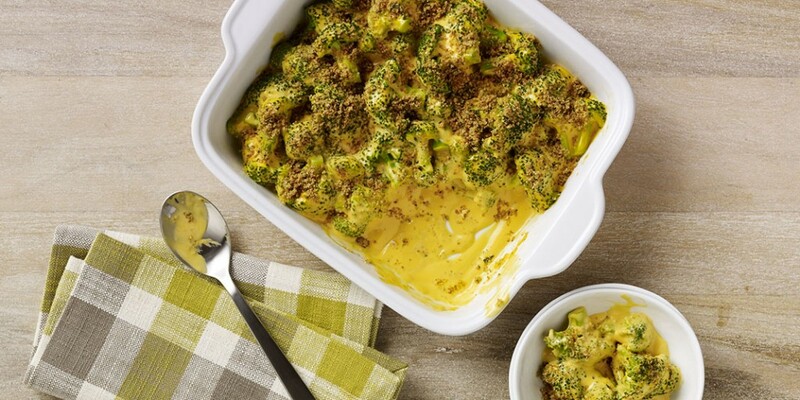 It’s our choice blend to complete your favorite mac & cheese recipe—or create your own. 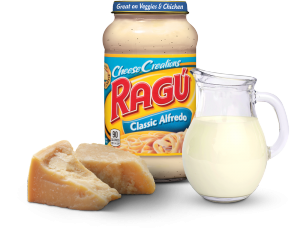 Water, Yellow And White Cheddar Cheese (Pasteurized Milk, Cheese Cultures, Salt, Enzymes, Cellulose, Annatto Color), Soybean Oil, Modified Corn Starch, Butter (Sweet Cream, Salt), Enzyme Modified Egg Yolk, Whey, Salt, Parmesan Cheese (Pasteurized Part-Skim Milk, Cheese Cultures, Salt, Enzymes), Romano Cheese Made From Cow's Milk (Pasteurized Part-Skim Milk, Salt, Enzymes, Cellulose), Natural Flavors, Disodium Phosphate, Xanthan Gum, Paprika And Annatto Extract (Color), Yeast Extract, Whey Protein Concentrate, Soy Lecthin.